Mechanical watches are composed of hundreds of parts, many of which are tiny, and all of which function as part of an intricate system that turns the raw energy of an uncoiling spring into a measured outflow of time. Much like a car, these small engines require regular maintenance, lubrication and cleaning to continue working properly over time. Even modern mechanical watches, which are typically more durable than many of their predecessors thanks to the advent of advanced technologies and materials, require upkeep. 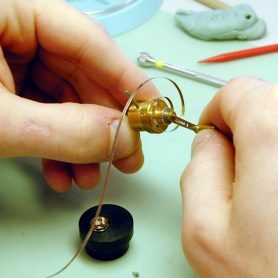 Most manufacturers recommend that you service your mechanical watch approximately every three to five years, although with the quality of modern manufacturing, in some instances service can be put off longer if the watch is functioning properly. In general, let timekeeping be your guide – if your watch is running fast or falling behind by several seconds daily, it’s probably time for a movement service. 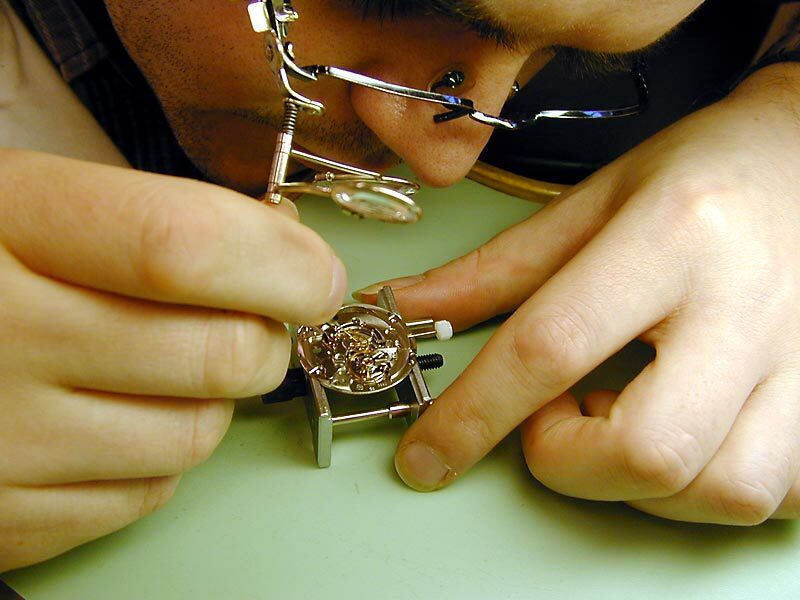 Mechanical watch service generally includes cleaning, lubricating, replacing worn parts, water-pressure testing and regulating, which is the process of adjusting a watch’s accuracy. Accuracy is tested on a machine that measures the beats of the escapement to determine whethera watch is fast or slow. Of the service steps listed above, lubrication is the understated hero. 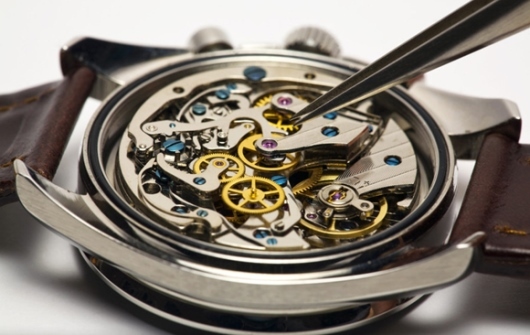 Over time, movement lubricants deteriorate either by drying up, migrating, evaporating or becoming viscous – all of which can damage a watch’s moving parts and affect regulation. Proper lubrication minimizes the friction between parts and reduces wear-and-tear, which will save you money in the long run. 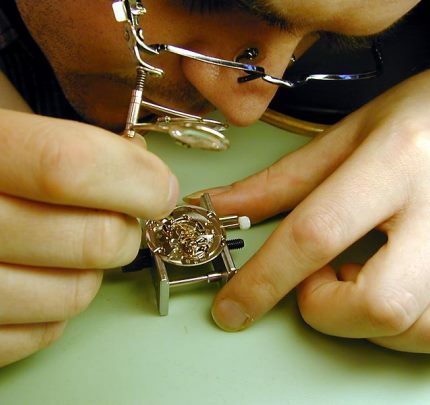 Polishing may also be included, but is really more of a personal preference than required maintenance; i.e., some people embrace scratches as part of a watch’s natural aging while others strive to keep their watches looking new. The choice to polish or not to polish is therefore a purely aesthetic decision. If you do decide to have your watch polished, leave it to an expert, since it’s easy to damage a watch’s finishing during the process. 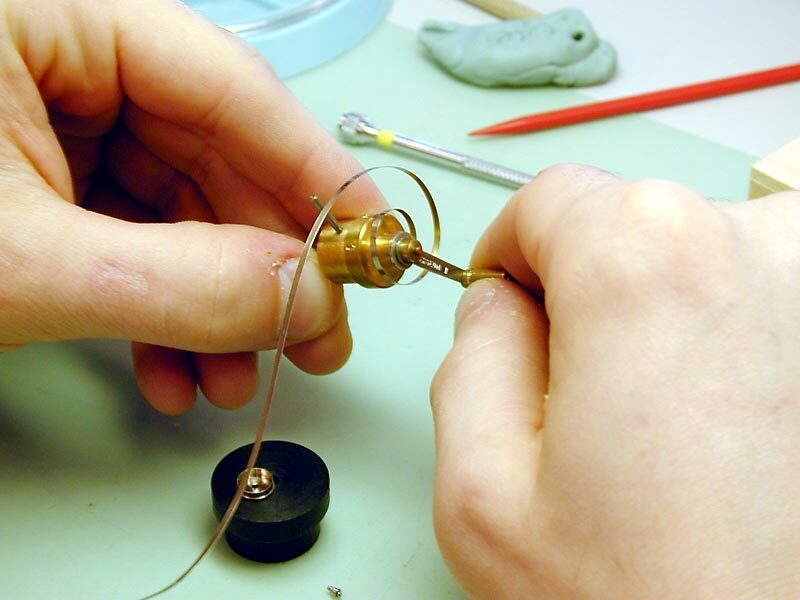 When your mechanical watch is in need of service, look no further than Gevril Group Watch Repair Services, where a team of certified watchmakers is ready and able to assist you.